In an excellent central location, just 3 minutes' walk from the main street, Hotel Atlanta was introduced last winter, and has quickly become a favourite. Offering arguably the best value prices in Zermatt, the Atlanta features comfortable accommodation and is perfectly located for all that Zermatt has to offer. The majority of the hotel's bedrooms boast spectacular views of the famous Matterhorn. With the Sunnegga and Gornergrat mountain railways both within 3-4 minutes' walk away from the hotel, guests can enjoy easy access to the Rothorn and Gornergrat ski areas, great for intermediates. Alternatively, the ski bus for the Matterhorn Glacier Paradise gondola stops just 3 minutes' walk from the hotel and is free with your lift pass. 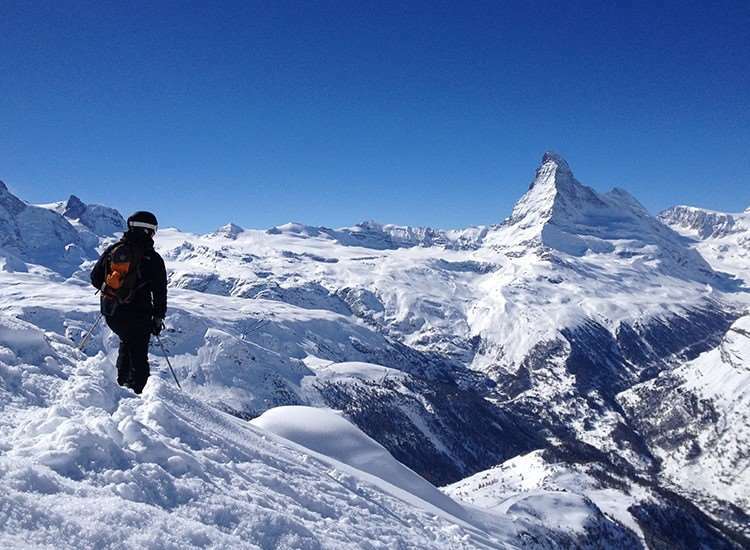 For a well-earned drink after a day's skiing, Zermatt's legendary après-ski and nightlife is round the corner. Traditional breakfast room with great Matterhorn views; Wi-Fi (pay locally); lift. The simple rooms have bath or shower, TV, telephone, radio, safe and hairdryer. Some rooms also have stunning Matterhorn views. Some single rooms with washbasin only are also available. Good continental buffet breakfast included. The half board set menu is taken in a nearby restaurant (20m from hotel) and can be pre-booked at a supplement. Please note special dietary requirements cannot be catered for.